The Creston Community Forest has been employing an ‘ecosystem-based philosophy’ of forest management since its inception in 1997. Ecosystem-based management is defined as integrating the ‘scientific knowledge of relationships within a complex sociopolitical and values framework toward the general goal of protecting native ecosystem integrity over the long term’. Incorporating non-timber values in forest management ultimately ensure ecosystem health and long-term timber production for the community forest. 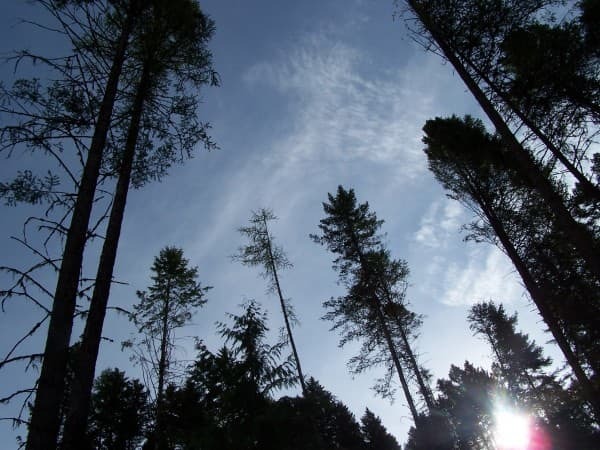 We often operate in areas which host a wide variety of tree species such as western red-cedar, western hemlock, lodgepole pine, Douglas-fir, ponderosa pine, western white pine, western larch, paper birch, trembling aspen, sub-alpine fir and spruce, which allows us to leave multiple age classes and species in order to maintain a diverse ecosystem that is more resilient to insects and disease.